January 2019 - Hotspex, Inc.January 2019 - Hotspex, Inc.
Is It Time For You To Refresh Your Brand? Brand identity is an important component of a marketer’s brand strategy. 2. Physical availability to make it easy for consumers to identify brands in buying situations. 2. Staying familiar enough to trigger and reinforce existing memory structures built over time. In addition to placating changing consumer needs, marketers now must manage the fact that the contexts within which they build physical and mental availability are changing because of the disruption that technology is bringing. Communicating a brand’s distinctiveness now takes place in smaller environments like mobile screens and happens in a shorter duration with some ad exposures only lasting seconds at best. Marketers are adjusting their strategies and their brand identities to win in these rapidly changing environments. 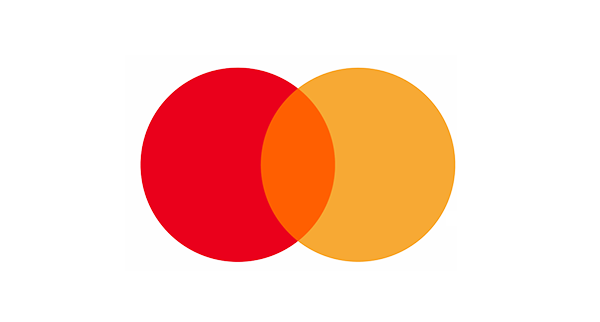 Mastercard recently modified their brand logo, a cornerstone brand identity element, in order to improve its visibility across digital realms. When asked about this change by Steve Oleski of the CMO Network, Mastercard’s Chief Marketing and Communications Officer, Raja Rajamannar, explained that the changing digital landscape is driving their marketing strategy and consumer engagement. The new and simplified brand logo dropped the typeface “Mastercard” from the logo. According to Raja Rajamannar, the brief was aimed at delivering against pillars of simplicity, connectivity, seamlessness and modernity. 1. Do they agree with this strategy? 2. Do they believe that Mastercard has executed the strategy well? 3. What are the risks or concerns with implementing this strategy? 4. What could they learn from this and apply it to their brands? Regardless of whether you agree or disagree with this brand identity evolution, it is interesting to note that several well-known brands have simplified their logs over time. Whether you agree with these changes or not, there are some behavioral science and brand building principles that you should consider ahead of a logo or brand identity redesign. Here are a few quick considerations for the next time you plan to refresh your brand. 1. Our brains prefer visuals over words. It’s generally true that visuals are processed more fluently than words. This leads to quicker and less effortful processing. Less work means more positive associations. It’s also been shown that simpler visuals are processed more easily and positively than complex visuals. Hence, simplifying brand identity or executions of your brand in terms of ads and packaging, should make life for your consumer easier. 2. Our brains enjoy solving simple puzzles. Our brain like to solve “simple puzzles” and fill in gaps. Research on problem solving shows that consumers get emotional rewards in the form of a dopamine boost when they solve problems. Activation of positive affect related brain areas in the prefrontal cortex have also been observed when consumers solve simple problems. Logos that leave a consumer filling in a few simple gaps may lead to mental rewards that feel good at a non-conscious level. 3. Our brains are attracted to novelty. Our prehistoric brains are attracted to novelty. If you go back 200,000 years ago, we needed to find fresh food, water, and shelter, so our brains are wired to be attracted to new things. The trick to novelty is not to make so unfamiliar that it triggers fear, but new enough that it sparks excitement and interest. This is the tension that brand builders face in building a distinctive brand that evolves enough to stay relevant to consumers but is familiar enough that it doesn’t require excess processing efforts. 4. Our brains use context to make sense of the world. Context drives perception. Anytime marketers change their brand, the biggest concern is that the new executions of the brand won’t trigger the brand automatically. To support this transition, marketers should take advantage of the fact that the brain always processes information relative to context and past experiences. Identifying other distinctive brand assets and the common contexts within which consumers expect to see the brand will help the activation of the brand. Is your marketing team considering evolving its brand? Perhaps you’re trying to renovate your brand, refresh your packaging, or even launching a new product and trying to determine which elements of your master brand you should incorporate? 1. Who are your consumers and what drives their behaviors? 2. What makes your brand distinctive? 3. Which elements of your brand identity are distinctive brand assets and must not be touched? 4. Which of your brand identity elements need to be evolved and how do you go about doing it? 5. Which brand identity elements are holding your brand back and should be removed? 6. How do you ensure that you leverage context to improve the transition of these changes? There are simple ways to leverage behavioral science to answer these questions and inform your brief. We have seen marketers and their insights teams deploy innovative and agile audits of their packaging on shelf or their communications to uncover the path forward. In closing, whether you like or dislike the changes Mastercard has made to their logo, marketers will continue to feel the pressures to evolve their brands over time, especially as the context within which these brands are advertised, purchased, and consumed become more digitized. The key is to be very careful in evolving your brand and to do so in a way that doesn’t disrupt the memory structures that allow consumers to easily identify their brand. Interested in learning more about how to apply leading behavioral and marketing science principles to drive brand growth? Email us at brandbuilders@hotspex.com to get a free copy of our How Brands Grow summary or to learn about our complimentary Brand Building and Behavioral Science workshop. Most of us worry about the future, some of us plan for the future, and a very few select people make predictive models about the future. On January 11th, Deloitte put on their annual TMT predictions event, a platform where the Director of Research, Duncan Stewart, shares out his technology predictions for the future. He is a globally recognized speaker and expert on the forecasting of consumer and enterprise technology, media and telecommunications trends. He shared with us facts and figures about Smart Speakers, AI, and Quantum computing, all of which boasts a 93 percent accuracy to actual future trends. Hardware Sales are down over the last 5 years. They peaked at $1.045 trillion in 2013 and are down to $870 billion in 2018. 87% of that $870 billion in sales are spent on: Smartphones, PC’s, and TV’s (in that order). What’s happening to the billions in leftover spend? People are spending less on hardware and more on: software, services, data and content. Where are consumers getting their information?On those mediums. Radio will surpass TV audiences in young Americans (18-35) by 2024. It’s also predicted that global radio revenue will reach US $40 billion in 2019. The industry for smart speakers – internet-connected speakers with digital voice assistants – will be worth US$7 billion in 2019. Voice activated commands will mostly be used for Music, Weather, and general searches. Some routine shopping will be ordered through voice command (e.g. refilling Tide). But other shopping will still be done on visual platforms (on phones, computers, etc). Currently between 47% and 53% of Wi-Fi users are on a 4G Wi-Fi network. The 5G (5th generation) Wi-Fi capabilities will be available in Canada with select providers starting in 2020/2021. This will not gain widespread usage for at least a decade afterwards. They predict that only 14% of Wi-Fi users will be on the 5G network in 2025.Article here. Companies will accelerate their usage of cloud-based AI software and services. By 2020, penetration rates of enterprise software with integrated AI and cloud-based AI platforms will reach an estimated 87 percent and 83 percent among companies that use AI software. Companies that do not use AI in some aspect of their business within the next 5 years will not be as competitive in the marketplace. Investing in AI capabilities is key. The quantum computing market will stay small compared to current computers, but within the next 25-30 years, their capabilities will render all public security and cryptography insecure. Making sure that companies should stay aware of their cyber security plans and architectures. The godfather of deep learning, received the Order of Canada on Dec 27th 2018! Congrats Geoff. Article can be found here. Regardless of the extreme technology development and changes to anticipate, Duncan always brings back the human element and grounds it in reality. Smart speakers may be cool and trendy (voice activated Amazon’s Alexa echo), but he pointed out that dumb speakers (last decades radio), are used for the exact same purpose. E.g. Finding out the weather, asking for the temperature, and listening to some news before tuning in for the music. The future has a cool factor, but all trends will be tied to human behavior, habits and likes. 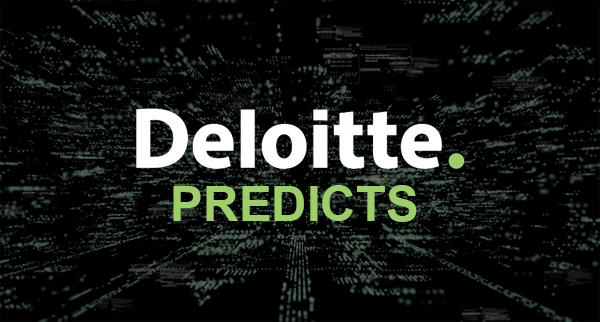 For anyone who would like a more in depth look at Deloitte’s 2019 predictions, you can read and download their full TMT Prediction Report here.